Glamped out motorhomes to rent is one way to make your campground a unique site to visit and stay when the location of your campground is not enough to bring in more customers. This can be a business lifesaver. Guests staying in permanent RV’s glamped or designed to create an almost BnB or AirBnb atmosphere is the trend. Travelers using campgrounds instead of hotels to do the traditional camping or have the campground as a unique place because of the cool accommodations and convenient location. People don’t enjoy staying in hotels as much as in the past. They want ambiance, location, and something unique. The campground industry offers outdoor hospitality and often in some of the country’s most beautiful locations. 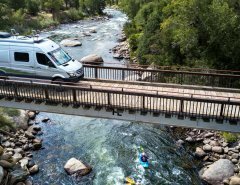 Many travelers and vacationers who don’t travel in a comfy motorhome, look for the unusual and most interesting accommodations. What a great use of your campground: fill it with a number of permanent, uniquely designed motorhomes. Your guests can stay in anything from Tear Drop trailers to Airstreams. Long or short stays. Basic but comfy needs to fully appointed options. Glamped up 60’s looks, retro diner-style, Pop-Art-inspired, Steampunk to ultra-modern. With an assortment of styles, your guests can go online to book their stay with the style that suits them best or intrigues their curiosity. Your campground becomes more than a parked trailer for sleeping accommodations only. Cool and fun themes become the reason to come and stay, while enjoying what your town, parklands and historical landmarks that typically keep your guests entertained off-site. Some of the more unusual and/or luxurious rentals can be amazingly good money makers for the campground owners. Up-scaling the accommodations, being creative, and advertising in the right way can prove to be very profitable. 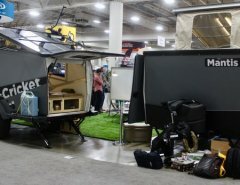 Europeans already have the lead on the U.S market for innovative campgrounds with unique amenities and accoutrements. Business is booming with this new and creative way to repurpose your own campground. Proper marketing starts with your website: be sure that readers can find you on Google. In order to do that you have to optimize and update your SEO features. Be sure that readers can easily do the booking there on your site. The best time to make a sale is when they see your photos and read your descriptions. Make sure to include a calendar for open dates for each model of RV your are renting. 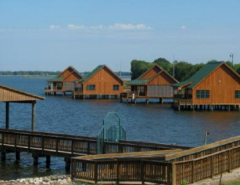 One system to utilize to advertise your upscale camp and facilities is Facebook’s system for advertising. Check-out their Carousel Ads. You can select how much you want spend. And check out Home Away and Airbnb’s Host requirements.